Organ Donation Has Consequences Some Donors Aren't Prepared For : Shots - Health News Some of the 100,000 people who have donated a kidney in the past six decades say the donation has left them with debilitating health and financial problems. And they say the health care system doesn't do enough to document their cases or issue them sufficient warnings. Most living kidney donors return to their daily lives in a matter of weeks, but for some, unforeseen physical and financial complications arise. Nearly a year and a half ago, Jeff Moyer donated a kidney. It's something he says changed his life forever. "Transplant surgery is a miracle," marvels Moyer. "I mean, to think that my kidney saved someone else's life — that's staggeringly wonderful." His reaction is surprising given all he's been through. Like most surgical patients, when Moyer awoke, he was in a lot of pain. He was reassured that the post-surgical pain was normal and he'd be back on his feet again in a couple of weeks. But weeks, then months went by. His scars faded, and the pain didn't. Today, Moyer says he has daily pain that leaves him virtually doubled over. It has affected his relationships and his ability to work. And yet doctors tell him they can find nothing wrong. It's a story familiar to Vicky Young, who donated her left kidney to a friend seven years ago, only to develop kidney disease herself. "All of a sudden I'm plummeting down to stage III chronic kidney disease, and that scared the hell out of me," says Young. Moyer and Young represent only a small fraction of donors, but donors like them say they were unprepared financially and emotionally for the prospect of lifelong health problems. And they are frustrated by a transplant system that is primarily focused on the organ recipient, but isn't prepared to care for donors. Young's kidney function eventually improved, but like Moyer, she suffered from chronic pain, numbness in her left leg and groin complications she says no one ever told her could happen. 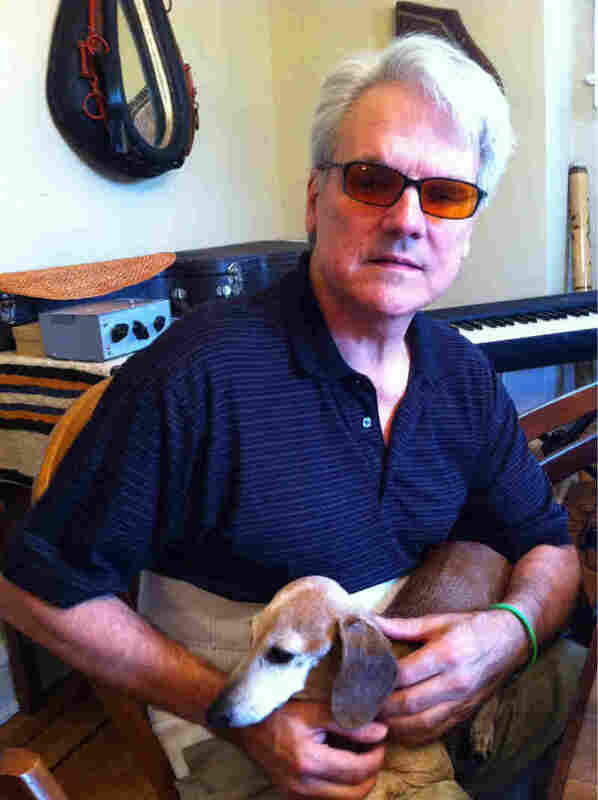 Jeff Moyer suffers from chronic pain. He says the pain began after he donated a kidney a year and a half ago. "Death, pneumonia, blood clots — that was what I was told, so I didn't think that there would be anything else," Young recalls. "I figured if I was in the hospital and didn't have a blood clot, didn't have pneumonia and was still alive, then I was going to be fine." Young eventually discovered that her symptoms were a result of nerve damage during surgery, but it took her years and she estimates as much as $15,000 in out-of-pocket medical expenses to get a diagnosis. Moyer and Young's experiences aren't typical. More than 100,000 people have donated a kidney to a friend, family member or stranger in the six decades since transplantation became possible. Most of them return to their daily lives in a few weeks — and have few if any complications. "I don't think the transplant community really respects donors as individuals that are going to be impacted by this," explains Moyer. "We're sort of treated like living cadavers." 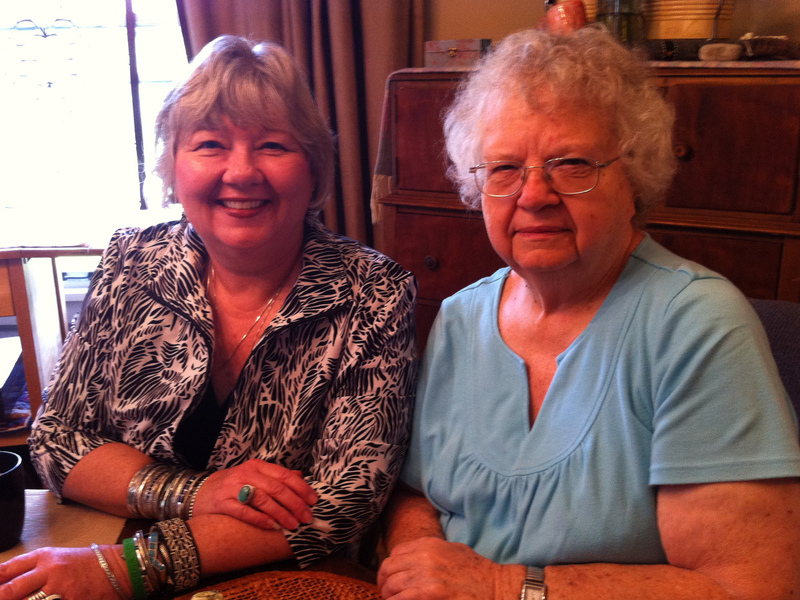 Donna Luebke, a former nurse who donated a kidney to her sister in 1994, now works as an independent donor advocate. She says there's no way to really know how many Jeff Moyers or Vicky Youngs there are — no one is keeping close track. Living kidney donations have been successfully performed since the 1950s, but it wasn't until 2006 that the United Network for Organ Sharing began asking transplant centers to report on the health status of its donors. According to reports by the Organ Procurement and Transplantation Network, however, transplant centers have lost track of more than one-third of their donors one year after their donations, two-thirds by two years, on average. Furthermore, few centers report any laboratory results on their donors, and some centers consistently fail to report any data at all. That's something Luebke says is unacceptable. Vicky Young (left) with her mother. Young developed kidney disease after donating one of her kidneys to a friend seven years ago. "I think that, as donors taking this risk, we deserve the highest scientific standard, and that means data — and they don't have data," says Luebke. "I'm sort of tired of hearing that donors are fine. You can't tell us that, because you don't know." Some argue that many donors simply don't return the forms — and that the cost of tracking down all of their donors and maintaining their records is prohibitively expensive. But critics say they can and should do better. 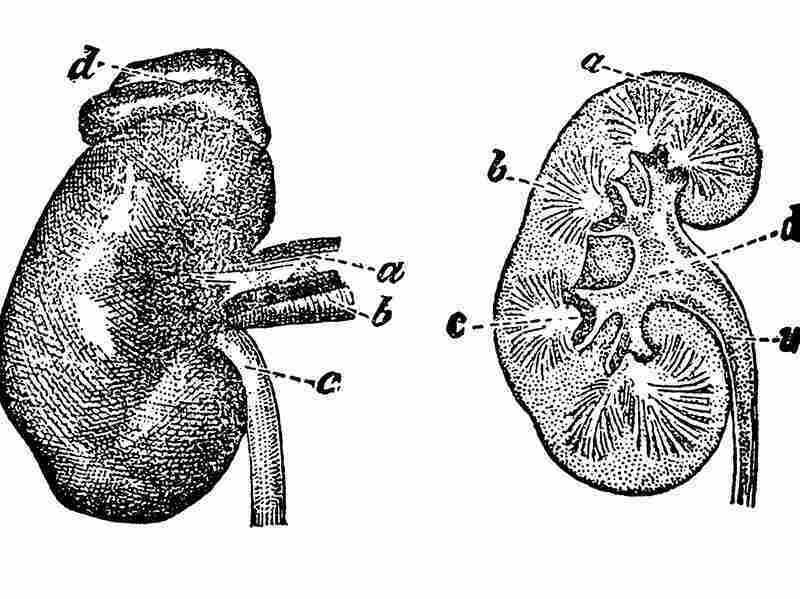 Lainie Friedman Ross, a physician and professor of bioethics at the University of Chicago, has been outspoken about the need for a similar national comprehensive registry of kidney donors. "I think it should be morally required," says Ross. Ross says the consequences of organ donation might not be apparent for decades — and the risks are not the same for everyone. Young or minority donors have a higher rate of kidney failure than the general population. Additionally, transplant centers are increasingly willing to accept donors that are older, obese or have high blood pressure. And while Ross says that doesn't necessarily mean they shouldn't be donors, getting long-term data can help answer questions about how these donors will fare. "We need to be able give more particular information to living donors. It's not just 'On average, two out of 1,000 go into kidney failure'; it's 'What is my risk as a potential kidney donor?' " says Ross. The Living Organ Donor Network has proposed a solution: an insurance policy that also tracks donor health. The policy costs a one-time fee of $550 and has been around for more than 12 years — yet few donors know about it. Thomas McCune, a kidney specialist who directs the program, says only six of approximately 260 transplant programs currently cover all of their donors with the insurance policy, in part because drawing attention to the small but real risks of donation might scare people away. "Transplant programs are comfortable with the idea that, well, we've never had this problem before, or it's so rare that we don't really have to worry about it, when in fact every single donor who walks into a transplant center needs to worry about these potential complications, including the possibility that they could die. It's very rare, thank God. It hasn't happened that often. But it has happened," says McCune. Case in point: the kidney donor and young mother who died on the operating table last month at New York's Montefiore Medical Center after her aorta was accidentally severed during surgery. Surprisingly, almost every donor asked — even donors with complications, like Jeff Moyer — say they have no regrets. They simply want to make the system better. "It's among the most important things I have ever done in my life," Moyer says. "And I would do it again."